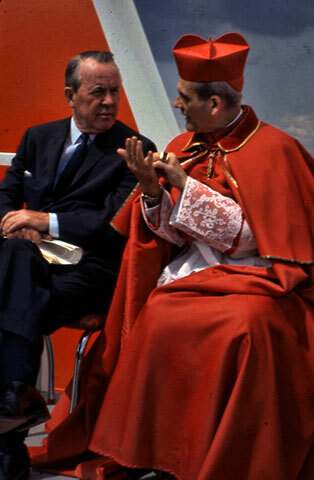 Quebec's main spokesmen in Ottawa in the 1960s were Prime Minister Lester B. Pearson and his successor, Pierre Elliott Trudeau. 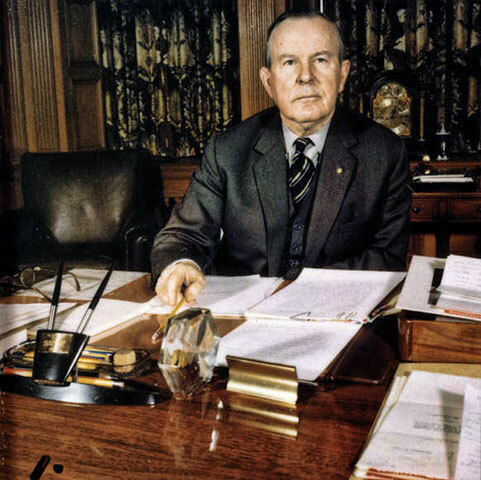 Prior to directing Canada's destiny from 1963 to 1967, Pearson was in turn a clerk for a Toronto law firm, a semi-professional baseball player, an office worker at a meat-packing plant in Chicago, a history professor at the University of Toronto, a federal civil servant and, finally, a diplomat. His idea of creating a peacekeeping force during the Suez Canal crisis in 1956 led to his receiving the prestigious Nobel Peace Prize the following year. As an experienced diplomat receptive to peoples' aspirations for autonomy, Pearson acquiesced to the demands of Quebec in order to allow the province to better integrate with the Canadian confederation. He also knew perfectly well that by making concessions to Quebec, he avoided giving munitions to the separatist movement.